Courtney is a Director in StoneBridge Business Partners, an EFPR Group company. She has been with EFPR Group, LLP since graduating from SUNY Geneseo in 2006. 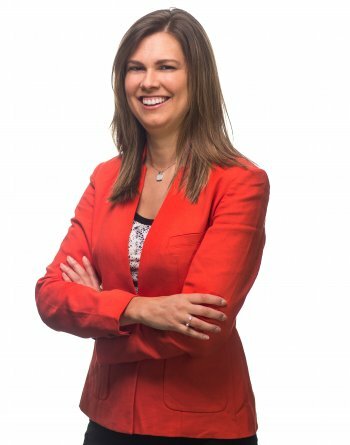 Courtney has diverse experience in a variety of industries including: closely-held for profit companies, not-for-profits, ERISA engagements, and health care entities. She serves as a firm wide resource in areas of business acquisitions, due diligence and private equity transactions. Her experience in ERISA engagements include: defined benefit, defined contribution, health and welfare, and ESOP plans. She is a lead auditor for the United States Conference of Catholic Bishops performed throughout the United States. Courtney currently serves as a member of the Commercial Service team for EFPR Group, LLP. She is an active member in her engagement teams and is involved in planning and performance of the engagements in accordance with firm and professional standards, identifying and resolving technical issues, and ensuring engagement quality. In addition to providing high level client services, Courtney has authored several published articles, as well as presented on various topics within her service areas. She is also regularly involved in staff recruiting and firm-wide training. Within the community she was actively involved in the formation of the Pittsford Alumni Association. Courtney is also a board member and serves on the facilities, finance, and audit committees of Lollypop Farm.